Kale grape skillet is a heart-healthy side dish made with fresh kale leaves and a simple, nutritious, 100% Welch’s Grape Juice sauce. This post has been sponsored by Welch’s. I was compensated for my time. As always, all thoughts, opinions, and toddler-musings are my own. 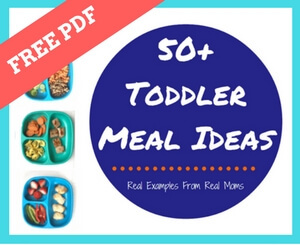 There’s always a common thread when I’m introducing a new food to my toddlers or trying to get them to try a food they regularly accept in a new way. Can you guess what the “liked” food is in this grape kale skillet? If I had a million dollars for the correct guess you’d likely be rich. Yep, it’s the 100% Welch’s Grape Juice. And fresh grapes. These are the kind of mind games I play with myself when I’m thinking up new recipes to feed my family. And if you’ve ever played mind games with a toddler, well, you know there’s a big chance you might lose! When I partnered with Welch’s to create a family-friendly recipe using 100% grape juice, my initial thought was to make a protein-rich recipe, like my grape pork tenderloin. Protein is one of those things that is really hit or miss with my boys, but so are greens! Unless they wind up in a morning smoothie. I somewhat pushed the envelope with this skillet, and the verdict? Let’s just say it definitely helped to have Joey AND Anthony pick out the Welch’s Grape Juice in the store and join me in the kitchen while I was making this recipe. Side note: I also let each enjoy a taste of 100% Welch’s Grape Juice while I prepped and cooked the kale grape skillet! 100% Welch’s Grape Juice leaves quite the mustache! What’s so special about Welch’s? And how do the boys know the, “dark purple drink!” when they see it?! Yes, they really say that in the middle of Kroger. Welch’s 100% Grape Juice is made from the small but mighty Concord grape, which delivers natural plant nutrients known as polyphenols. Not only do polyphenols give the Concord grape its signature purple color, these natural plant nutrients also deliver benefits to promote heart health. Not familiar with Concord grapes? You’ll rarely find them in the store. Concord grapes are harvested and in season during just a few short weeks each fall, plus they don’t travel well – so, it can be hard to find them fresh. Because I want my family [and yours] to enjoy the nutritious benefits of Concord grapes all year-round, Welch’s 100% Gape Juice is a product you’ll almost always find in our grocery cart or refrigerator. In fact, I’ve even convinced Ted to adding a ½ cup to his morning smoothie! I hope this recipe helps you to think beyond a glass of juice and helps your family step outside of their comfort zone with fresh, leafy greens! Heat oil in a skillet over medium heat. Add shallot, kale, and grapes. Stir occasionally, for 2-3 minutes. Add garlic and continue cooking for an additional 3 minutes. Add grape juice to skillet, then cover and let steam for 2 minutes. Remove lid and season with salt and pepper. Serve immediately. Visit welchs.com/health to learn more about 100% grape juice made with the Mighty Concord grape and get recipes and tips in support of a heart-healthy lifestyle.